It has only been 3 months since we last wrote about the Export Import Bank. A product of the President Roosevelt’s New Deal in 1934, the bank is officially an agency of the United States government. The bank’s mission is to finance and insure foreign purchases of United States goods for customers unable or unwilling to accept credit risk. Its goal is to create and sustain U.S. jobs by financing sales of U.S. exports to international buyers. The bank’s charter was due to expire in 2012. Congress extended its charter until September 2014 and then again until this June. Politicians on both the right and the left have become critical of the bank, in part because it often appears to prop up foreign governments hostile to the United States. Russia, China and Pakistan have all become indirect beneficiaries of loans made by Ex-Im Bank. As lawyers representing whistleblowers, we are always looking for new opportunities to fight fraud and help put money back in the pockets of taxpayers and whistleblowers too. If ever there was such an opportunity, it appears to be with the Export Import Bank. The agency’s inspector general testified before Congress earlier this month as part of the hearing process on renewal of the bank’s charter. According to testimony, 47 people have been convicted of defrauding the bank in just the last 5 years. We have no way of knowing whether the bank’s charter will be renewed. We do know, however, that the bank has been repeatedly victimized by fraud both internally and externally in recent years. 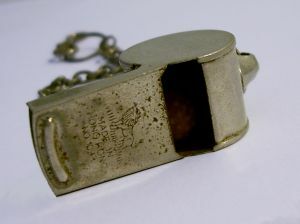 Under the federal False Claims Act, whistleblowers with inside information about fraud involving a government program can earn a substantial award from the government. The typical award is around 16 or 17% of whatever the government collects but can be as high as 30%. Because the Export Import Bank is a federal agency relying on tax dollars, whistleblowers are eligible for awards. To obtain an award, one must file a sealed complaint in a U.S. District Court. If the claim has merit, the government can collect triple damages from wrongdoers. Even if the bank closes its doors, those that ripped off the bank could still be prosecuted and sued under the False Claims Act. If you have inside information about fraud to any government program, give us a call. 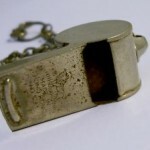 To date we have helped whistleblowers collect over $100 million in award monies. Last year, the government paid out approximately $700 million in whistleblower awards. To get your piece of those awards and do something positive in the fight against crime, contact us if you believe you qualify. All inquiries are protected by the attorney – client privilege and kept strictly confidential. We take cases from whistleblowers anywhere in the world.